A sculptural and silky structure are showcased in this rounded bangle bracelet form Roberto Coin's Soie collection. 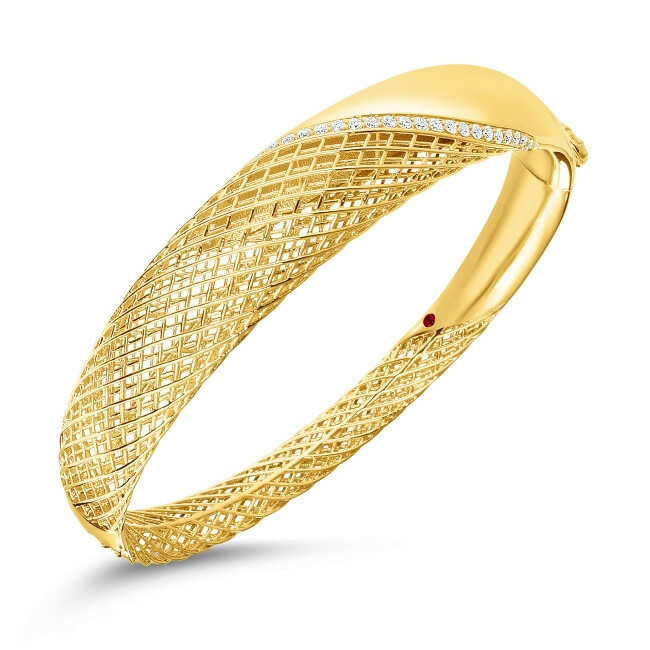 Crafted in 18K yellow gold, a wonderful weave of fine gold threads are built up on one portion of the pretty piece, complemented by a dividing line of diamonds next to smooth precious metal. The contemporary piece of jewelry from Roberto Coin can start more than a few conversations!